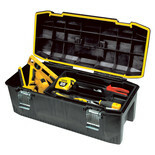 Lift out tote tray for smaller tools, tape measures etc. 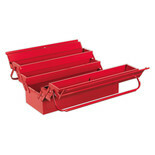 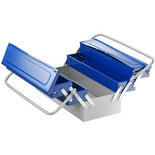 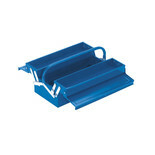 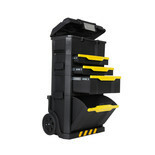 Tote storage organiser with long metal carry handle for total control and comfort when carrying. 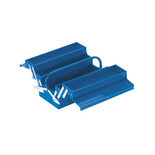 Heavy duty latches with robust structure. 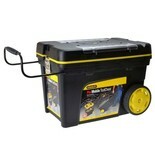 *Contents not included. 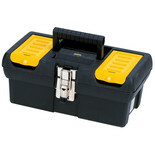 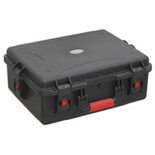 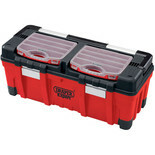 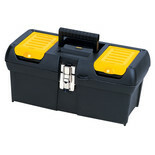 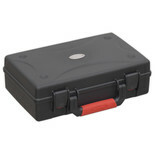 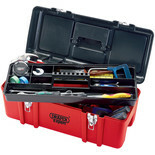 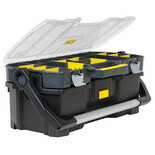 Tough, professional quality tool box made from non-corrosive materials and fastened with an extra strong metal latch.